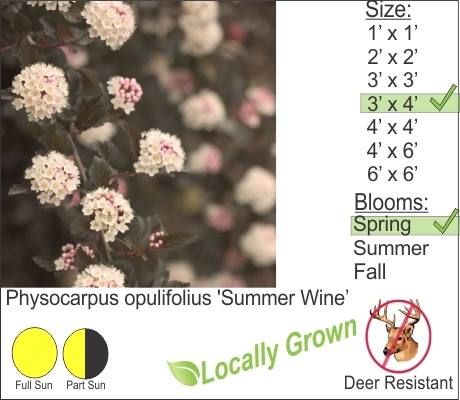 Summer Wine Ninebark is an nice choice for adding color to your landscape. The Ninebark’s burgundy leaves contrast well with Boxwood and other evergreens. This shrub needs a little bit more room in the landscape but is still easy to maintain and it is deer resistant making it an excellent choice to plant in Deertopia aka the Hudson Valley.